Ships tomorrow if you order in the next 20 hours 29 minutes. From digestive support to muscle development to healthy hormone production - L-glutamine is the most abundant amino acid in your body and it has plenty of work to do. 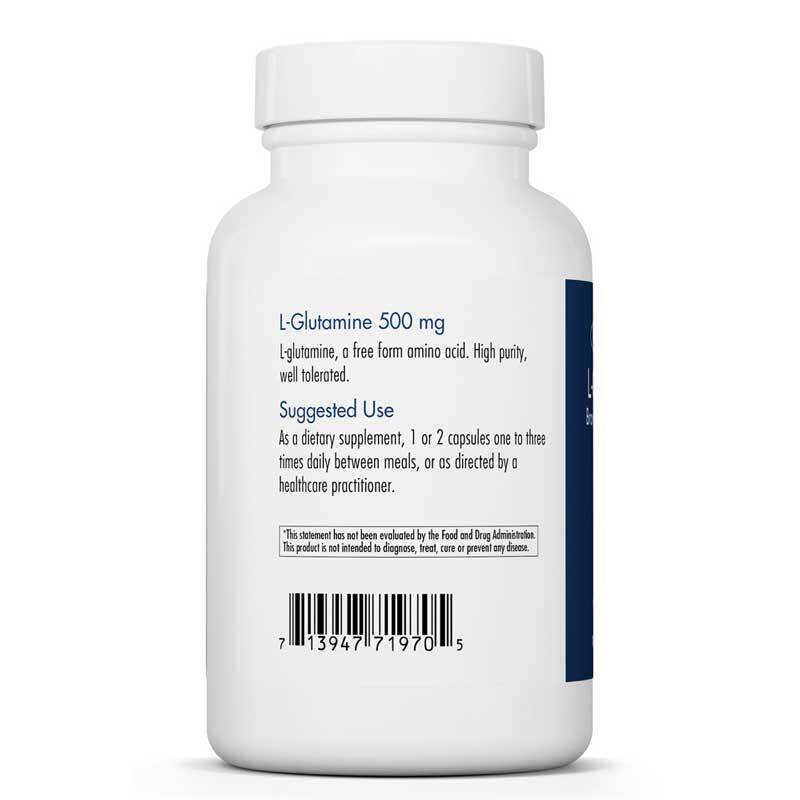 L-glutamine supports digestion by promoting a type of cell found in the lining of your gastrointestinal tract. It also supports muscle glycogen stores and the production of growth hormone for normal development. This free-form amino acid can even cross the blood-brain barrier where your brain uses L-glutamine as fuel. 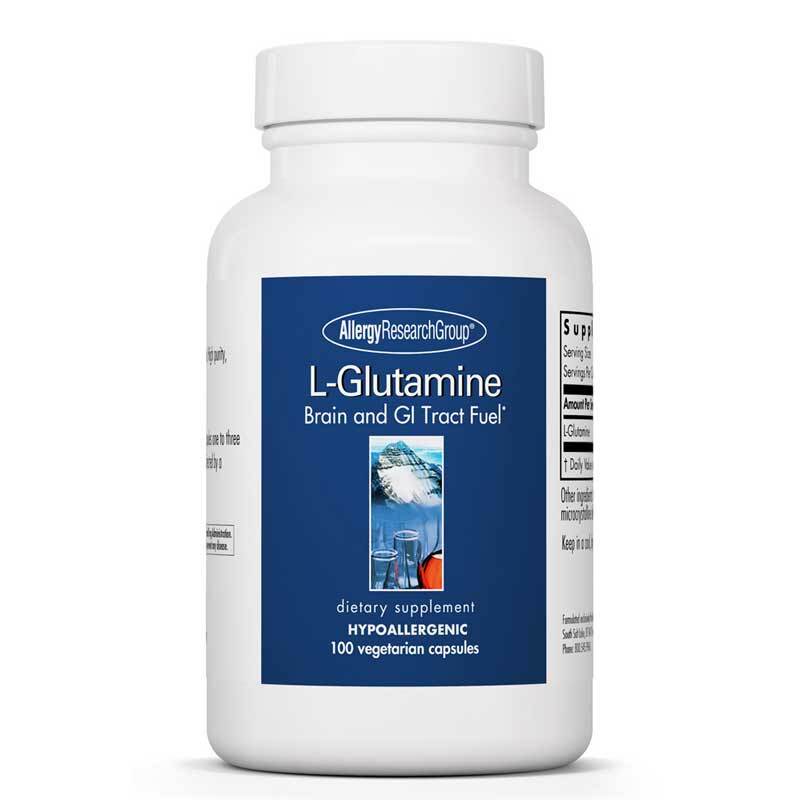 L-Glutamine from Allergy Research Group is a hypoallergenic dietary supplement that can provide you with an important protein building block, which may also support your immune system. People undergoing potentially damaging medical procedures because of serious health complications may benefit the most from supplementation with L-glutamine. Ask your healthcare professional about the recovery and relief this free-form amino acid could provide. 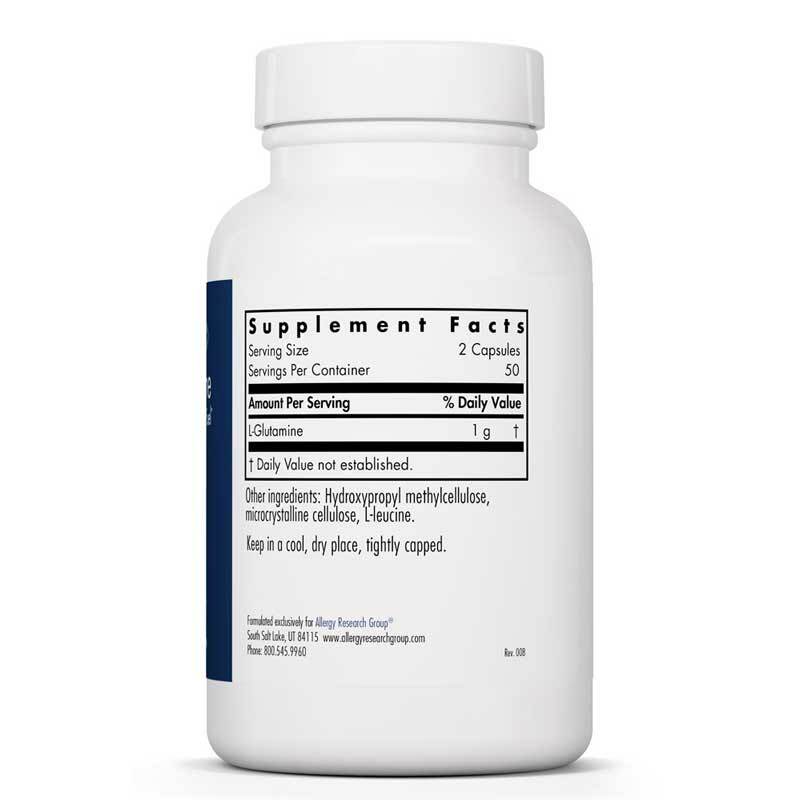 This supplement contains only ingredients of the highest quality and purity. There are never any preservatives, diluents, or artificial additives. Choose L-Glutamine by Allergy Research today. Adults: As a dietary supplement, 1 or 2 capsules one to three times daily between meals, or as directed by a healthcare practitioner.